PreK - Youth Group: Easter presentation in the Sanctuary followed by an Easter party. The Program Director of the Sarasota Y Schoolhouse Link program, who is also the Homeless Education Liaison for Sarasota County Schools, will help us understand the breadth of child hunger in Sarasota and what some programs are doing to address this aspect of childhood poverty. Presenter Ellen McLaughlin, left. Moderator Jane Rose. The Program Director of the Sarasota Y Schoolhouse Link program, who is also the Homeless Education Liaison for Sarasota County Schools, will help us understand the breadth of child hunger in Sarasota and what some programs are doing to address this aspect of childhood poverty. Presenter Ellen McLaughlin, Moderator Jane Rose. 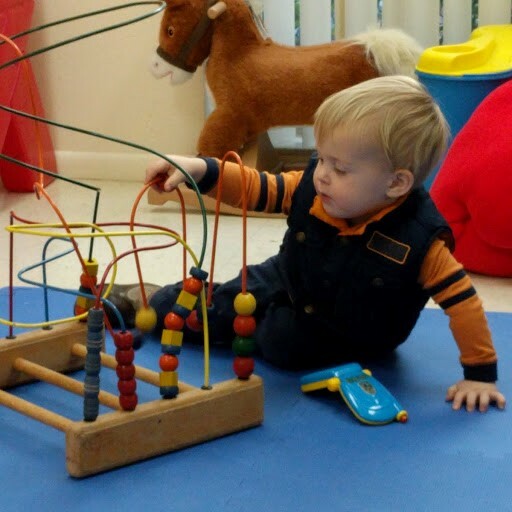 Nursery: Those 3 and younger will play with our nursery staff and volunteers. Older children and youth: Childcare provided for children in 5th grade or younger with age appropriate activities. 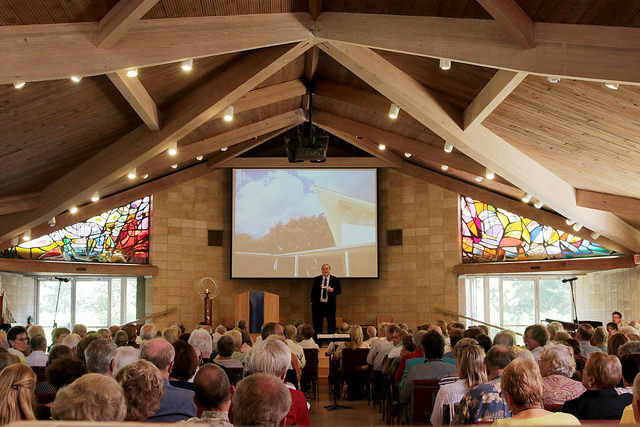 10:30 am: Sermon by Tina Rose: "A Ministry of Outrageous Openness"
Roger Fritts speaks at a recent Sunday service at our Sarasota church. As a shy second grade boy who chose to dress up as Henny Penny for Halloween, Tina Rose (she/her/hers) always knew she was different. But growing up in a small town in the 1960's and 70's wasn't the time to be exploring. Even while being married and raising two children as a devoted husband and father, Tina knew something wasn't right, something was missing. When a life-changing event happened at San Francisco Pride in 2007, she started a journey that continues today. Come hear more of Tina's story filled with pain and sorrow, yet ultimately joy and peace. Tina Rose first attended Arlington Street Church (an historic Unitarian church in Boston) for Pride Day in 2011 and she’s never looked back. 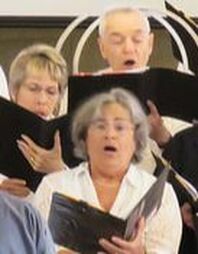 Since becoming a member in 2013, Tina has been involved in many church activities. She served for three years on the Prudential Committee (Arlington Street Church’s Board of Directors), acting as Chair for the final two years. She served as a member of the Ministerial Intern Committee; helped to plan and volunteer at Indulge, the annual church fundraiser; and has washed dishes after services on Sundays for years. Tina is very involved in the Boston LGBTQI community where she recently completed a four-year term on the Board of Directors of GBPFLAG (Greater Boston Parents, Families and Friends of Lesbians and Gays) and serves as a member of the Leadership Circle for Fenway Health, an LGBT health care, research and advocacy organization. Tina enjoys adventures, meeting new people, riding her bike to raise money for great causes, playing in and watching soccer games, baking, reading, movies, and music. PreK - 5th Grade: Caring for our Earth - Developing a curiosity and respect for all living things and how we can help care for them. Are you doing all you can to help preserve our coastal waters? Do you know how your lifestyle can impact the ocean's water quality? Do you know what to do when we have the next red tide bloom? Sandy Gilbert, of START, a non-profit grass roots organization founded in 1996 in response to a devastating ten-month long red tide bloom. START joins with other organizations and concerned citizens to form a coalition to ensure that our federal, state and local policy makers take action to keep unwanted nutrients that feed red tide out of our waterways. 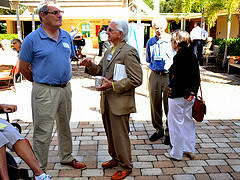 Presenter Sandy Gilbert, Moderator Don Diddams.